Commissioning has been completed on a renewable energy generation system, which includes 6 kilowatts (kW) of solar panels, as part of the $10.6 million Smart Sodium Storage System Project, funded largely by the Australian Renewable Energy Agency (ARENA), to develop and demonstrate sodium-ion batteries in renewable energy storage applications. The project based at the Bondi pumping station - part of the Sydney Water network – aims to show how sodium-ion batteries can be used to store renewable energy and increase system resilience through self-generation, storage and consumption of energy on site. It was chosen as a demonstration site due to the daily volume of wastewater it moves as well as proving the technology against highly intermittent and impulse-heavy loads. The system will generate approximately 8,000 kilowatt-hours of energy each year – significantly more than is required to run the site. “Part of ARENA’s role is to deliver secure and reliable electricity and battery technology will play a major role in allowing variable renewable energy to be dispatchable,” ARENA CEO Darren Miller said. 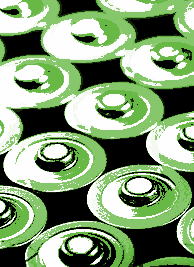 The experts say the relatively inexpensive and reliable sodium-ion batteries are not too far off, and could play a big role in reducing reliance on lithium. Sodium-ion batteries are a potential game-changer because the materials are much more abundant than those for traditional lithium-ion batteries, reducing the cost of the raw materials as well as reducing reliance on scarce and expensive lithium. Sydney Water project engineer Peter Anders said that while most people press the flush button and don’t give the process a second thought, moving wastewater around our 25,000 kilometres of wastewater pipes so that it can be treated, protecting health and the environment, is an energy-intensive process. “Sydney Water is always looking to increase the resilience in our networks and to minimise our energy consumption,” he said. The installation will use lithium-ion batteries for its first year to test the energy management system, but they will later be replaced with the sodium-ion batteries in late-2019. Development of the sodium-ion battery packs is now in a critical phase, with the first batches of batteries rolling off production lines at industry partner sites in China.